My kids dig magical figures like Santa Claus and the Easter Bunny who come in the night and leave presents in their wake. So why not add one more to the mix? 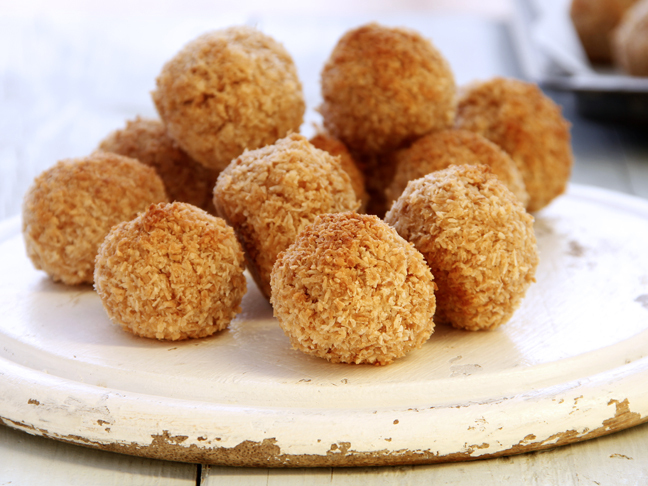 Good behavior abounds whenever there’s any promise of a magical person/creature dropping by to leave them a treat. That’s something I’ll be milking to the day they (sadly) grow out of it. I introduced my kids to Leprechaun Pete, a tricky little guy who speaks only in limericks and is loose with his gold. It’s since become a St. Patrick’s Day tradition in our household. You can try his treasure hunt, too. 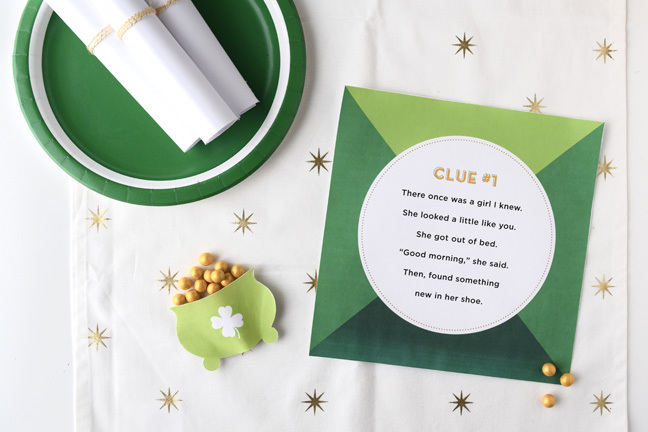 After all, what child doesn’t love a good rhyme—especially when it leads to a surprise? 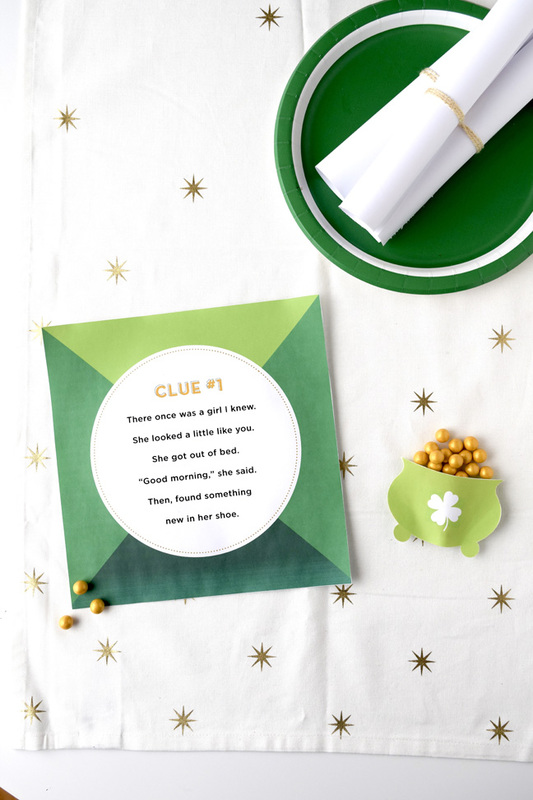 Step 1: Print out the free printable pot of gold & clues templates (click here and print from your computer). Step 2: Make your pot of gold. Use a thin line of glue along the sides and bottom of pot of gold to adhere the two sides together. Do not apply glue to the top so you can add candy into the favor pouch. Step 3: Fill your pouch with candy, stickers, or whatever else you can think of. Step 5: Hide your clues. Give your child the first clue when he or she wakes up, and hide the rest. 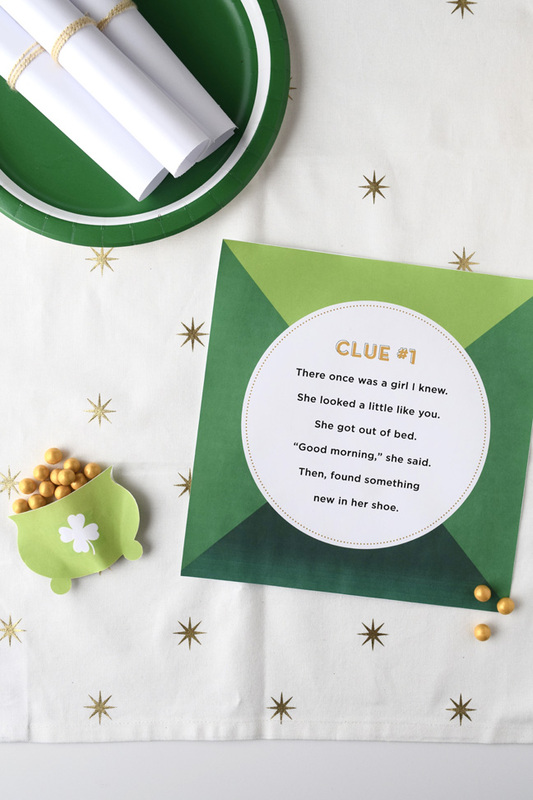 Clue 2 goes in a shoe, clue 3 in a glove, and clue 4 under a plate with the pot of gold. 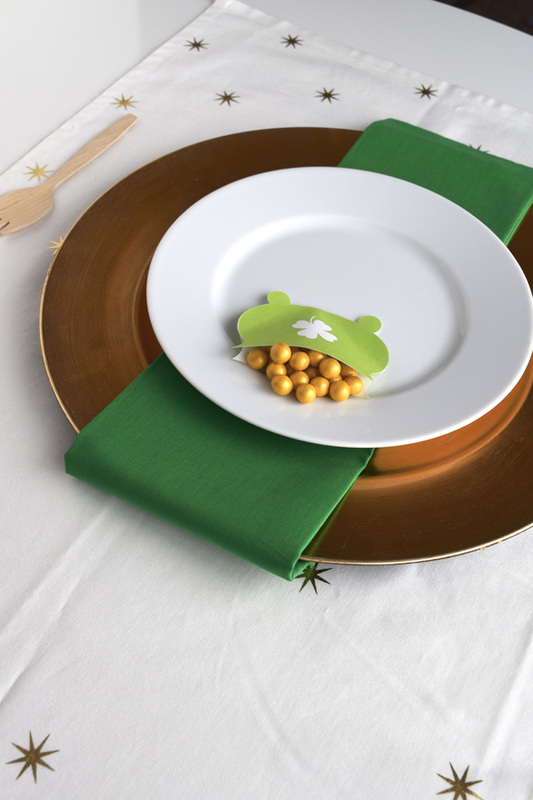 Step 6: Hide the last clue along with the pot of gold under your child’s breakfast plate. 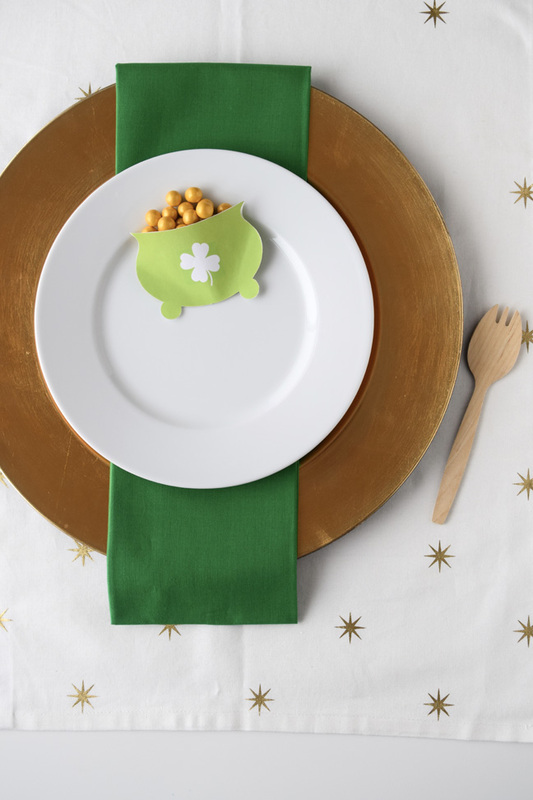 Tell your kiddo they must have just missed sneaky Leprechaun Pete, but luckily he left his pot of gold.